"Hells bells!" I thought to myself. "It's Valentine's Day!" And though it is very commercial, you can't ignore it. Not if you're married to an Italian. Not if you don't want to wake up dead on the 15th. 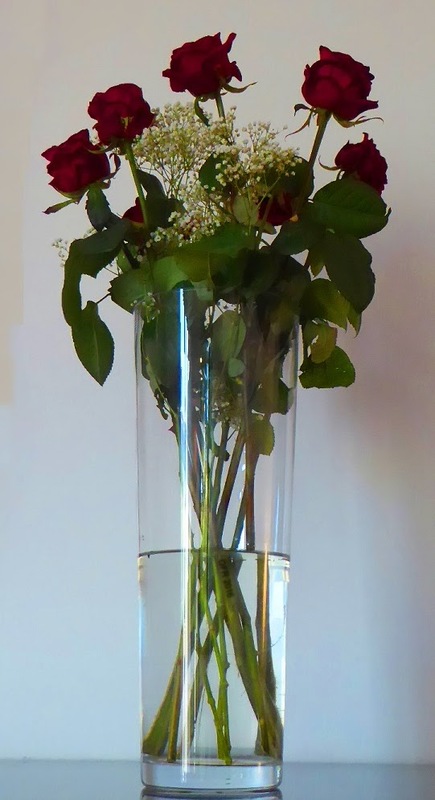 So, just in time, I went to the florists and bought seven red roses. I was lucky, there were no other customers, plenty of roses left. As I handed the florist the money I thought: "It seems only yesterday that I was doing this very same thing, and yet it was a year ago." And when my wife came in that night she was very pleased to see the vase with the seven roses in the center of the table. I wonder, before they started making things, did primitive humans have an idea of a Maker with a capital M?